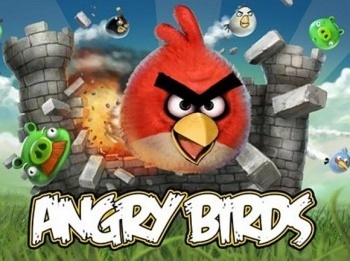 The UK publisher that brought Angry Birds to mobile phones everywhere was just nabbed by EA for a cool $20 million. Chillingo, based outside London, publishes some of the most successful mobile games that we've ever had. How popular are Chillingo's games? Well, its games currently hold the #1 and #3 positions on Apple's top paid Apps list with Angry Birds and Cut the Rope. Interestingly, the developers of both those titles, Roxio and Zeptolab respectively, were not a part of the acquisition by Electronic Arts. With EA's purchase of casual Facebook game platform Playfish for $400 million last year, it's clear that the software giant is making a big push to nail down hits in other markets besides traditional console games. "By acquiring Chillingo, EA Mobile is increasing its market leadership on the Apple Platform as well as reaffirming its position as the world's leading wireless entertainment publisher," EA's statement read. "This acquisition will combine Chillingo's expertise in cultivating the ideas of independent developers with EA's global mobile publishing reach." Mobile games and so-called casual games on platforms like Facebook and Apple's iDevice OS have so far been the domain of quirky startups and innovative gameplay. With EA's acquisition and Epic's foray onto the iPhone, I'm starting to worry that the established gaming companies will swoop in and ruin the hotbed of experimental gameplay that mobile games have been so far. On the other hand, I don't play mobile games very often so if EA can come out with a game that appeals to me, more power to them.